Vallee Visiting Professor Susan Lindquist (MIT, Whitehead Institute, HHMI), who has transformed our understanding of how protein folding shapes biological systems and made ground-breaking contributions in genetics, cell biology and biochemistry, has been elected a Foreign Member of the UK’s Royal Society, the oldest scientific academy in continuous existence. Foreign Members are elected for life through a peer review process on the basis of excellence in science. 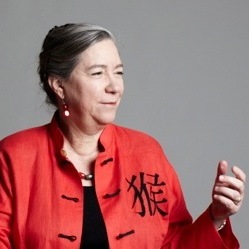 Susan Lindquist, Member, Whitehead Institute and Professor, Massachusetts Institute of Technology Investigator, Howard Hughes Medical Institute, discovered the functions of heat-shock proteins, identified prions as conduits of protein-based inheritance, and pioneered new platforms for neurodegenerative disease. She established the key role of the heat-shock proteins in tumor progression and the evolution of fungal drug resistance. She discovered that protein-folding buffers and releases genetic variation in response to environmental stress, providing the first plausible explanation for rapid bursts of evolution.